You can uke it put your app into it. 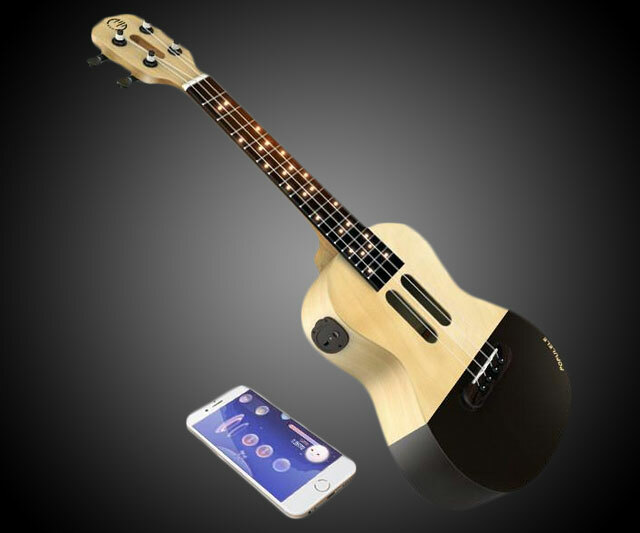 The Populele calls itself the world's first smart ukulele, and while I'm not sure anyone is going to rush to become the world's second smart ukulele, if you're the strummin' type this app-enabled, teach-it-yourself piece of musical tech could be a world's first you're grateful took the title. The Populele starts as a standard maple and spruce ukulele with Italian Aquila strings. 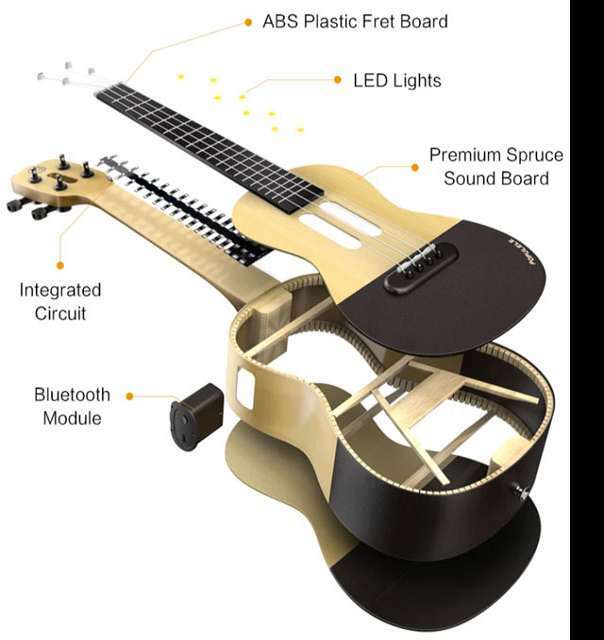 Maker Popuband then injects its "smartness" with a 72-LED fretboard and Bluetooth connectivity to a Populele companion app / e-teacher. When you want to play a song, the app signals its chords to the LED fretboard, which lights up to show finger positioning. For advanced ukulelists, it's a simple convenience of having quick and easy access to a wide repertoire of music. For beginners, the Populele and its app are a way to learn to play better, or from scratch, on your own. The app's music tool center includes a tuner, chord library, and song library. Out of the box, and anytime thereafter, you can use the in-app tuner to guide you through the tuning process and test your adjustments. Newbies can then flip over to the app's video-game-style training tutorials to learn strumming, plucking, and chord switching before moving on to the 100+ songs in the Populele library. Once you've mastered the Populele, or made a modicum of progress and want to toss it up on social media, the app will record and share your tracks with a single click.